The Townsville Hospital is a tertiary referral hospital located in Douglas, Townsville. The hospital has over 580 beds and provides a number of services including cardiac, obstetric, gynaecological, paediatric, orthopaedic, oncology, neonatal and intensive care. The Townsville pathology laboratory services primarily the Townsville Hospital, Ingham, Palm Island, Ayr, Home Hill, Bowen, Charters Towers, Hughenden, and Richmond. Townsville uses bus freight or private couriers to transfer blood to non-laboratory sites. All blood is transferred using validated packing configurations. Shipments include a quality transport sheet which is attached to the shipment. Mt Isa and Mackay are Townsville’s satellite laboratories. 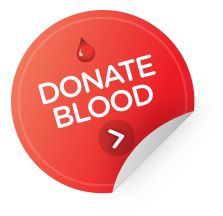 Blood Products for these sites are ordered direct from the Blood Service using BloodNet. Stock rotation of RBCs with at least a week expiry, are sent to the Royal Brisbane and Women’s Hospital, as an internal review determined that this was a more reliant and consistent transport channel. Unused blood from satellite non-laboratory health services is rotated back to Townsville with a week left on the expiry date. Most transfers take place early in the morning. After hours, staff at Townsville package the blood and forward to the bus station by courier. In order to keep freight costs down, transfers are minimised as much as possible. On arrival at its destination, blood is unpacked and stored in a blood fridge. Non-laboratory sites are required to provide their fridge records to Townsville on a monthly basis who then check for compliance. Townsville also audits the number/percentage returns on their transport sheets and follow up to offer support to the relevant facility if they are experiencing any problems. Townsville has an informal partnership with private laboratories for emergency situations when blood and blood products such as platelets and cryoprecipitate are required and in short supply. Having this arrangement in place allows the laboratory to resupply quickly in emergencies. An issue affecting the urgent transport of blood in tropical areas such as Townsville is the three-hour lag regulation imposed by the International Air Transport Association (IATA). Under this rule, freight, including blood shippers, have to wait three hours at the airport before being transported by air. For this reason, the pathology laboratory needs to maintain a “buffer” for blood products with short expiry dates such as platelets. The Townsville laboratory has very good communication systems and working relationships with areas in the Townsville hospital (e.g. oncology) and externally on blood supply arrangements. The Townsville laboratory receives good support from the Blood Service in Brisbane and Townsville – they tend to keep Townsville as well stocked as they can in times of short supply. The Townsville pathology laboratory has two blood fridges on site (the laboratory) and two additional fridges – one in theatre and one at the Townsville airport. They are also in the process of obtaining a blood fridge for the emergency department of the hospital. There is an electronic audit currently on trial for blood to the theatre fridge which includes a form for theatre staff to record information on blood (e.g. time in, time out, timeframe to temperature blood temperature) and a register. The trial has been developed in coordination with the theatre’s anaesthetic nurses, as they are the staff who handle the blood in theatre. The laboratory will be auditing the processes around this trial. Although it has not been completed yet, there has been a reduction in wastage from theatre with this process in place – estimated to be around two to three units a month. Townsville offers education and support to satellite health services as required through video conferencing or demonstrations and keeps in regular contact with satellites by email and phone. The Townsville health service also offers an orientation program for staff on issues around clinical use of blood and blood products and wastage minimisation.